Phishing for Credentials: If you want it, just ask! I have updated the script so it checks for credential validation. 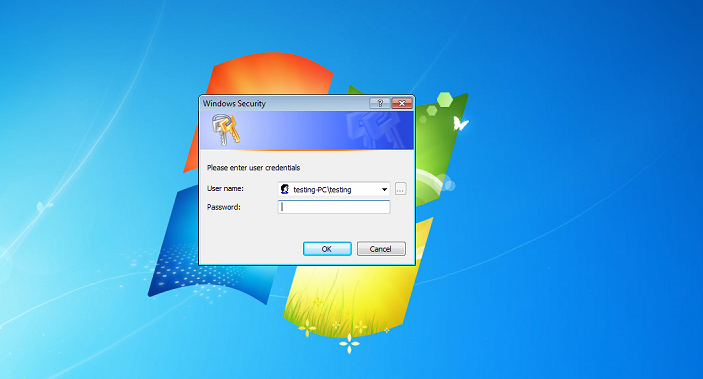 The prompt will not close until the user enters the correct password. Once validated, it will display the password for you. Basically, you compromise a machine using a malicious VBA macro or some sort of other vector. Once you have access to this machine, drop to a shell by typing “Shell” at the meterpreter prompt. When this runs, the user will get a prompt that is pre-populated with their domain and username. From there, you can now login to whatever resources you want as that user.